Have a question about wedding planning? About fashion? Vendors? Decor? Design? Suggestions? Ideas? If you do, this forum is for you! 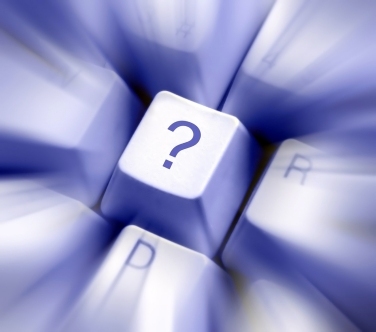 Please post your question in the comment box below, and I’ll do my best to answer your question. I’ll post your question and my response below! My friend recently got married and the photographer wasn’t exactly doing a very good job at capturing special moments, needed a lot of direction from the bridal party and overall was just a hot mess. We were hoping (praying) that despite his poor behaviour, that the pictures would turn out nice. I mean how hard is it to point and click? Well, the bride informed me that the photographer gave her a cd containing the pictures and they are horrible. She said many of them were blurry etc. She is very upset. Her in-laws paid for the photographer and I believe he is a family acquaintance so ripping him a new one is not an option. What should she do? Should she and the her husband take new pictures in their wedding gear? Also her family and his family do not live in the GTA. They are all scattered across Ontario and even the world. Help! That is a really tough and sad scenario. Being a wedding photographer I know how much responsibility lies on my shoulders to make the most of the memories for your couple. While I am sure they couple want to make the best of the scenario I wouldn’t hold my breath. My suggestion is to poll the attendees to see if they have any photos and perhaps piece together a collage of an array of images of the day. While no one photos might be exceptional, together they might look better and be a fun way of remembering their day. We do photoshoots for couples, who want a creative & unique look after their wedding quite often. This is always possible, and might help to leave better memories than what the original photos do. I hope that helps! I think your question is actually deserving of a full how-to post. I bet it’s not a unique situation to your friend only. Love your blog, so great to see so many suggestions for the Brown Bride in the GTA! Here’s a question for you – I want to wear a silk saree for my wedding ceremony and I would like to have my bridesmaids in silk sarees as well – I’m thinking bright summer colours for them and white and gold for me. Obviously a trip to India to do wedding shopping would be best, but unfortunately, that’s not in the budget. I’ve seen a lot of bridal lenghas and chiffon sarees on Gerrard St. but not the silk sarees I’m looking for. Any suggestions of stores to check out to find these? Sorry for the late reply. Finding pure silk sarees can sometimes be a challenge. I would suggest checking out some clothing stores that gear to South Indian and Sri Lankan brides. There are quite a few in Scarborough. One of the biggest stores is Asiyans (www.Asiyans.com) in the Markham and Lawrence area. Maybe start there and see if they have any other suggestions. I will update this post if I come across other options. I was wondering what are your favorite wedding shows in Toronto? Which ones would you recommend for brides early on at the start of their planning process. Sorry for the delay! I figured I would respond in the comment box and post it up above at a later date. 1. The Wedding Co. Show at the Carlu–this usually happens in early January and has high end inspiration. I have never been but always wanted to go. A friend of mine getting married went this past January and loved it. 2. One of either Suhaag and Kismet. They both usually have the same vendors, are loud, crowded, and can be overwhelming. They are good for connecting you to South Asian vendors and for seeing some of the current fashion out there, and I don’t think it’s necessary to attend both. 3. The Drake Spring Wedding Show. This show is small, intimate, and offers unique inspiration. I found this small show more stimulating than the huge shows at convention centers. 4. Ohm Wedding Show–the first one occurred this spring and is geared towards South Indian and Sri Lankan brides. I noticed, however, that many of the vendors gear to the whole South Asian population. This show happens in the east end of the city, and so has many east Toronto vendors, which can be a blessing for the east end brides. Hey LBB! Your blog’s amazing. I’ve started to plan all the pre-wedding and wedding events and definitely need your help. I’m Sikh and like the traditional concept. I’m having the toughest time picking out an outfit for each event. Engagement? Mehendi? Sangeet? It’s all overwhelming. My main concern is for my wedding. I’m debating a traditional salwaar kameez or a lehenga. Good luck with your shopping! I hope I was able to help you narrow down your options. Please write me back to let me know how your shopping went! And totally let me know if I am completely off the mark! I love your blog!! I am currently in the midst of wedding planning and I am going nuts. All the details are slowly getting settled but I am worried about one thing. My reception outfit! I love my wedding lengha (Red blouse and off white bottom – I am gujurati…we wear red and white). My issue is with my reception outfit. It is a Sari. It is net (bright fuscia) and has a brocade petticoat and a beautiful heavy blouse. It looks almost like a lengha but is actually a sari. Now my question is, will this sari be dressy enough or will wearing a sari be ok for a reception? The designer promises I will look fashionable and it will be dressy enough. It also within my budget. I can always excorise ore but I dont know how a sari will look! I want to look modern and young…Please help!! First thing, take a deep breath, girl! 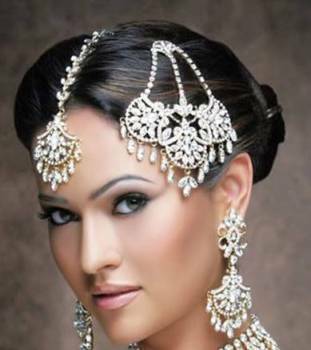 Or, go all out with the tikka, earrings, and jhumar if you feel like there isn’t enough bling in your sari! To keep the look modern, keep a simple hairstyle. 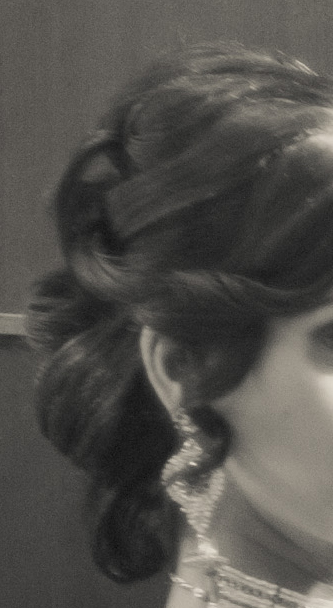 Don’t do a big updo with too much frou frou. Keep it simple! And if you’re daring enough, you could even add a sparkly belt to your sari…that could totally modernize it. But, you’ve gotta be cool and confident enough to pull it off. I love your blog and your wedding decor! It has really inspired me. I’ve just begun planning for my wedding. It will be in the summer of 2012… still have plenty of time, i know :$. ok, so here it is..
2. What was the cost per person for Grand Victorian? Did this include the food, or did you have separate catering? Thanks for the love! Congratulations on your engagement!! The planning will fly by, so make sure to enjoy it! To answer your questions..
1. The decor included the backdrop, tablecloths (for the guests’ tables, appetizers and buffet tables), table decor (minus the favour boxes, place settings), money box, chair covers, chair accessories, flowers, boutonnieres (not shown on blog), white loveseat, glass table in reception area (not shown on blog–I don’t think we have one picture of it). I don’t feel comfortable sharing the cost, primarily because it was such customized package. 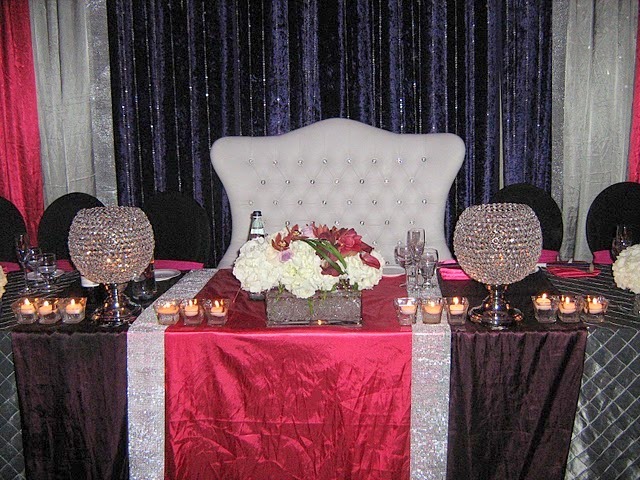 We gave Naphisha from The Perfect Setting our ideal budget, and she worked within in. For example, if you don’t have a partition wall in your reception hall, you probably won’t need a backdrop–this comprised a good chunk of our budget. We had 25 tables, which for an Indian wedding, is on the smaller side. We also didn’t have a lot of flowers, which helped us control our costs. Also, normally, the decor budget comprises approximately 10 to 15% of your total wedding budget. So, if you whole budget is $50000, then set aside $5000 for decor. I do think that you can get great decor for $5000 if you collaborate with an excellent decorator. Make sure you have a vision. 2. Our package at the Grand Victorian included passed hor d’oeuvres and cocktails during cocktail hour, Indian and Middle Eastern appetizer buffet (which we heard was amazing, but we didn’t get to taste), a full buffet (4 Indian dishes, 2 Filipino dishes, plus rice, naan, pomegranate raita), sweet & savoury table, open bar, light & sound package, and a hotel room. From my understanding, prices might have gone up, so I don’t want to misinform you. I will say that compared to other halls, Grand Victorian gave us the best value for our money. The food was excellent, the venue was excellent, and the service was great. There were a few hiccups, but that’s to be expected. With respect to the decorator and venue, I highly recommend getting in touch with vendors. Prices can change, packages can change, and it’s important to base your decision on the most current information. I know, also, that sometimes vendors can adjust their prices according to the customer. They might advertise one rate on the phone, but then quote you something different in person. Remember, vendors want your business, but they want good business, so go in person and make a great impression. What did you use as favors ? I love the box idea but am debating right now what to put in the boxes! Also can you give me a rough idea of how much the custom suit cost for J ? Thanks! a) We used tea as our favours. We bought loose leaf orange pekoe tea from David’s Tea, mixed it with some of my chai mix, and placed it all inside tea bags from David’s Tea. b) From my knowledge, custom suits start at $1000 at Garrison Bespoke, which is a pretty good price because designer suits can run you way more! It’s a good idea to touch base with the team and discuss what you want specifically. Costs vary depending on material used and which suit elements you want. your blog has helped me so much you have no idea! I wanted to know if you have a head on picture of your reception backdrop? My wedding colors are almost similar to yours (navy, fuschia pink, and ivory) and your wedding backdrop is my inspiration. Can you send me a picture of a backdrop I can take to my decorator it would be so helpful! I love your blog, thank you so much for sharing your wedding planning with all of us! Thanks for the love! I’m happy to share my wedding planning experience…I know wedding planning’s not easy, and no one really understands until they’re a bride (or groom)! Thanks also for the compliments about our favour boxes. We didn’t buy the boxes. We actually made them ourselves. Well, J and his brothers made the boxes from scratch (i.e., sourced and bought the paper, made the template, cut and folded 250 boxes). We bought the ribbon from Creative Bag. We decided to go this route because we couldn’t find what we liked and what we wanted in our budget. And, we’re slightly masochistic (remember–we also made our own wedding invitations). 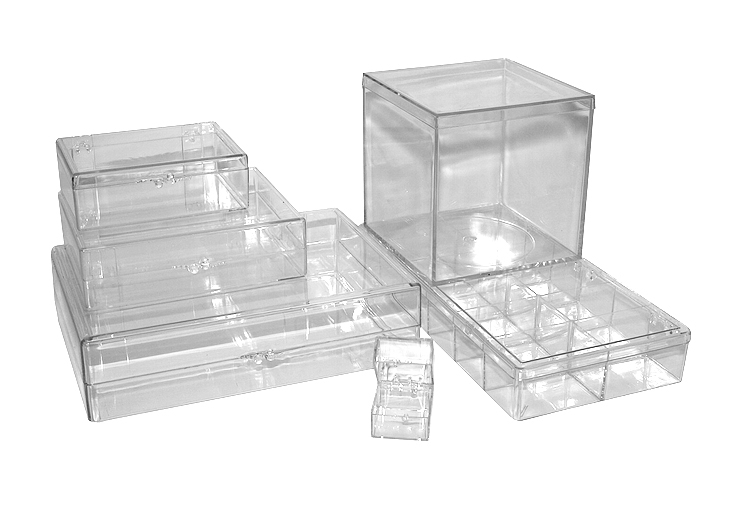 I may be putting myself out there, but we could totally make the boxes for you if you’re interested! No pressure! Send me an email if you want to more detail: littlebrownbride@gmail.com. Another option you could try is Liloo at Home. I first came across this service at The Drake Wedding Show. Unfortunately, according to Liloo’s facebook page, they are no longer open. Not sure if they are doing web orders. Their gift/favour boxes are actually what inspired J and I to create our own boxes! I was just wondering if you could post a picture of your hair style from your reception? The side view looks amazing! I’d like to see what the rest of it looks like. I am getting married this year and I’m looking for hair ideas. Thanks so much! I hope the pictures give a good idea of how my hair looked it. Let me know if you would like some other pictures. Hi LBB! To begin I must say…YOU are totally awesome! Your blog has helped me so much from the beginning on…Your tips are great and helpful! So hard to find help in the GTA area. We really like your idea of centrepieces, on cake stands, we have mixed favours that may go….where did you get your cakestands from? were they within a good price range. im finding it so hard to find within our budget!! and the decorators we have spoken to are all incredibly high priced. Do you recommend any other decorators other than PS? I’m glad that I’ve been of help to you! Great to hear you liked our centrepieces! We were very happy with them. Our decorator, The Perfect Setting, sourced the cake stands for us…and to be honest, I can’t remember how much they cost, but I don’t recall them being crazy expensive. In terms of more budget-friendly decorators, have you tried Nisha Chandra–she’s newer in the field, so I wonder if she would be more affordable. I did find The Perfect Setting quite affordable; compared to some other decorators, we got a lot more for our money and Naphisha did a great job working within our budget. McCalls: A cake decorating school that rents out its supplies. If McCall’s doesn’t work out, it might be worth it to check out other cake decorating schools! You could 1) get a couple different sized boxes and fill them with your favour boxes and stack them on top of each other; or 2) buy one large box, fill it with something (flowers, ribbon, glass rocks, something to go with your theme) and then stack the favour boxes on top of the box. Do you care to share where you got your reception jewelry? You look gorgeous! ps. i booked sherry. she rocks. Thanks for the compliment! 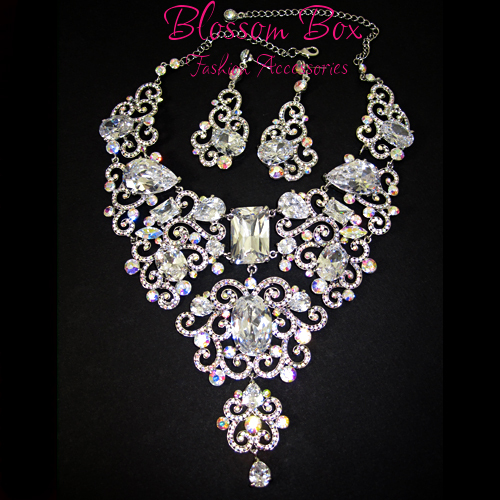 I bought my reception jewelry set from Lebas of India. They have a great jewelry collection there, and you can even rent some of their sets for the wedding day. Another good place to check is Riwaaz the Trends (my coworker just bought her reception set from there) and Indian Costume Jewelry. Both these stores are in the Great Punjab Business Centre in Malton. And so glad to hear you booked Sherry Vanstone!! She truly is awesome and WONDERFUL to have around on the wedding day. And I know this is supposed to be “Ask LBB”, but I want to ask you who you booked to do your hair! Please share! Thanks for the photo shout-outs! I have a random question, I really like the dishes in your cupboard- would go well with our new idea (or my idea) of a cafe inspired open kitchen concept. Sooo my question is where are the white dishes from and how can I be as cool as you? The lovely dishes are part of the Gordon Ramsay Maze by Royal Doulton dinnerware set. We got them from The Bay. They are very cost effective (about $100/set), look great, and have a great weight. I highly recommend the dishes! And I totally love the idea of a kitchen with open shelves filled with white dishes. Make sure to take pictures when it’s all done!!! Hi LBB! I have been following your blog and it has been SO helpful!! I will soon be engaged and am just wondering, on average, how much would an indian wedding cost… including all events- mendhi, sangeet, ceremony and reception? I am happy to hear the blog has been helpful!! I hope I can continue to be so! As for the average cost of an Indian wedding, it really depends on your numbers and how extravagant you are/want to be. I estimated an average wedding, with about 300 people, would be about $50,000. I asked Richha Arora from Arora Weddings & Events, and she said that you should estimate between $40,000 to $60,000. Does that make your heart hurt? It makes mine hurt! Hello LBB! I don’t think you realize, that you have been my cyber-sister-planner these days! I love reading your blog. The serendipitous thing is, that we are getting married at the same venue you did! So here’s my question, did they provide the same colour of “romals” for you, or did you have to bring those yourself? The gurdwara did not provide the ramaals for us. We bought the material from and had the ramaals stitched for us at Fashion Valley (805 Middlefield Road, Scarborough, 416-299-4383). They charged us $1.25 per ramaal, plus the cost of all the material. If you know someone who can sew, you can save money and stitch the ramaals yourself. My mom sews, but she didn’t have the time or the desire to stitch them all, and so we decided it was worth it to get them stitched for us. We had two ushers (my younger cousins) who handed out the ramaals to male guests as they arrived at the gurdwara. We didn’t do this ourselves, but a nice idea might be to place the ramaals in a box or basket that matches your colour scheme. You could also put a sign or your monogram on the box/basket or maybe your programs beside the box/basket. For latecomers, you could place the box/basket near the entrance so that guests will know the ramaals are for them. Thanks for the tips about the jewelry. I’ve checked out the Punjab Centre Business district in Malton. The woman in Raja Fabrics was “awesome”, she asked me if it was my daughter getting married, then looked me up and down when I told her it was me. I suppose I am considered over the hill according to BeBeji. I haven’t sorted out my hair person yet. I’ll probably work on getting some trials next week. Sorry you had to experience that!! Boo! I also had a hard time finding someone I liked for my hair. I really liked Pamela from Beauty Bliss (www.beautybliss.ca). You could also try Anjali Handa from Rock that Look (www.rockthatlook.ca). 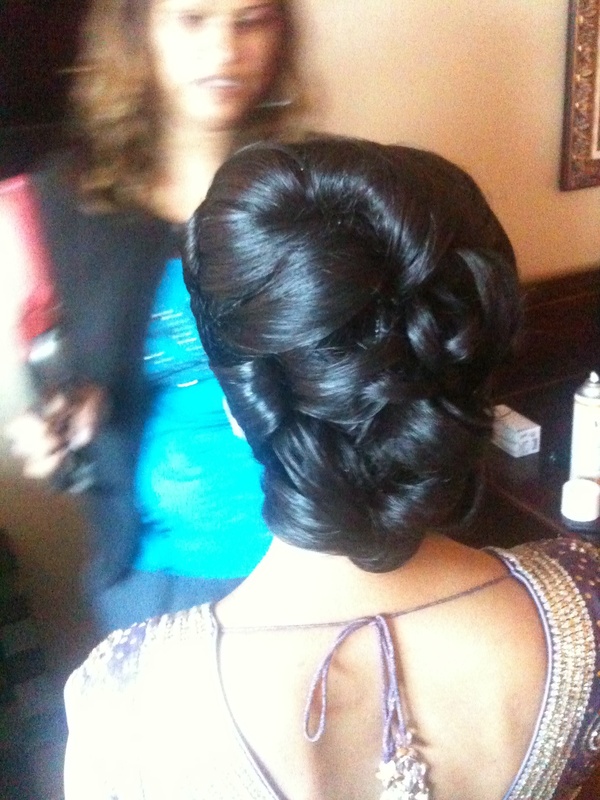 She did my sisters’ hair for the reception, and she did a great job!! 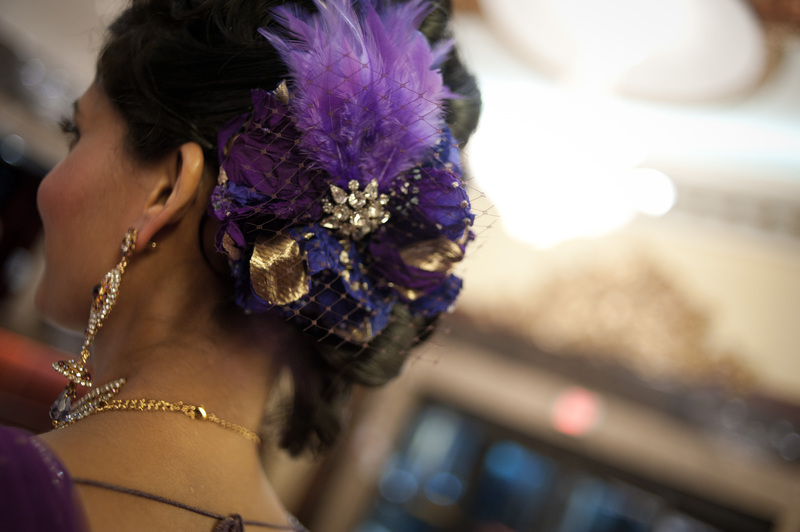 Anjali is super nice and friendly–great to have around on your wedding day! Let me know how it goes…and please tell her the LBB referred you! You will look gorgeous! 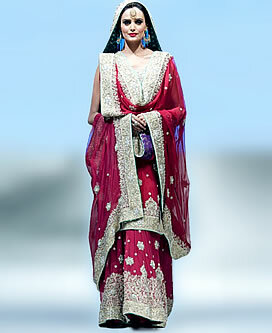 I am in the process of gathering some modern sari looks, so please bear with me! So happy to her you’re planning your wedding! I just wanted to clarify so I can help you better–are you looking for help deciding whether to wear a salwaar kameez or a lehenga to the ceremony? Or are you looking for help with wardrobe for all occasions? I’m currently in India trying to get started on buying majority of the outfits. I’m just stumped on what to look for any of the occasions. 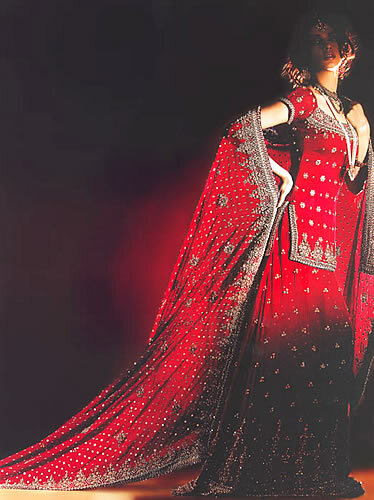 I wish I had an idea of what I want to wear for the wedding (lehenga or salwaar kameez??) so I had something different for all the events. I need help knowing what to look for. Thanks LBB… Great advice! Appreciate it! I am looking into planning a destination wedding. The ceremony would be a traditional Sikh ceremony. I have been looking into Mexico but haven’t found much helpful information online. Do have any tips/information about planning a destination wedding. Venue suggestions & any details are greatly appreciated. That sounds amazing!! 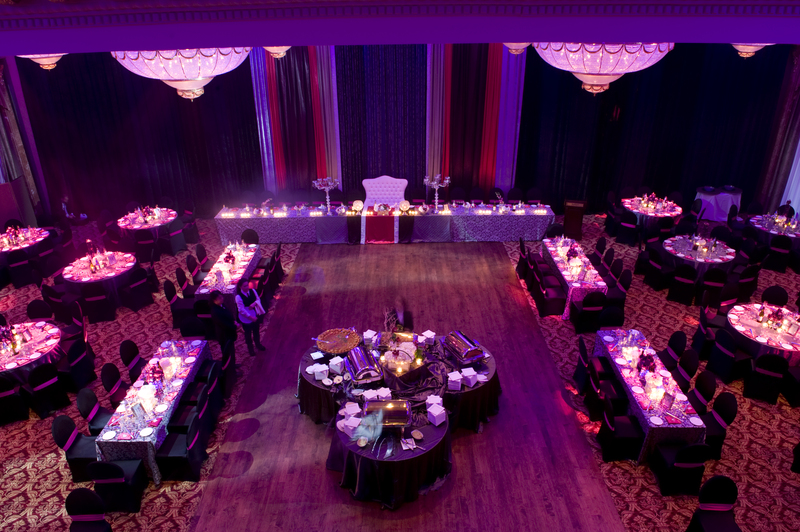 I have contacted Richha Arora from Arora Weddings and Events for suggestions. I will let you know as soon as I can. Thanks for dropping by. Send me an email: littlebrownbride@gmail.com! I absolutely love your website, it is extremely helpful! I am going to be engaged soon and I have started trying to figure out the wedding details. 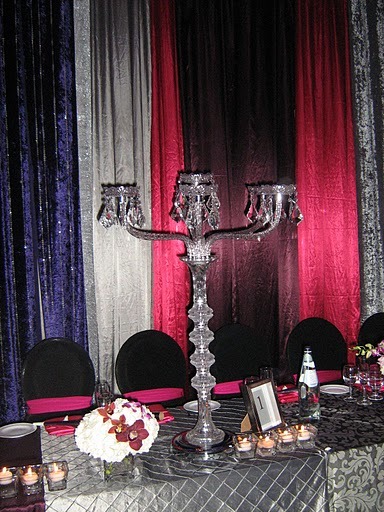 I am in love with purple and red as the colour scheme of the decor right now, I want to use those colours for the wedding reception. But I am not sure what colour to wear at the reception which would pop the most against purple and red. I will be wearing a sari for the reception. So any suggestion that you may have for the sari colours would be greatly appreciated! I would prefer to wear a deep colour rather than a pale one, I was initially thinking of wearing red but perhaps that would be overkill. Are there any pictures that you could share showcasing this colour scheme? Please help!! So glad the blog’s been helpful! I’m gonna take some time to think about my response to you, so please be patient! Being a bride from out of town planning a wedding in Toronto, your blog has been a godsend! I have been searching for live bands/punjabi singers in the Toronto area for my mehndi/sangeet but haven’t been able to find any. We do have a DJ who can provide services but thought a live singer would add a nice touch. I’ve found a few folk singers (who may be great, but may not keep the crowd going the whole night). If you know any I would love to get their name! I was just wondering where i could buy that black and white printed sari, with the umbi’s on it, from?? Could someone help me please? Accidentally came across your blog lots of useful information ,love your blog.Can you suggest me the names of makeup artists who does excellent makeup for Indian Dance Bharathnatyam Arangetram , for photo shoot as well as for stage makeup. Also suggest me the names of good photographer & videographer.